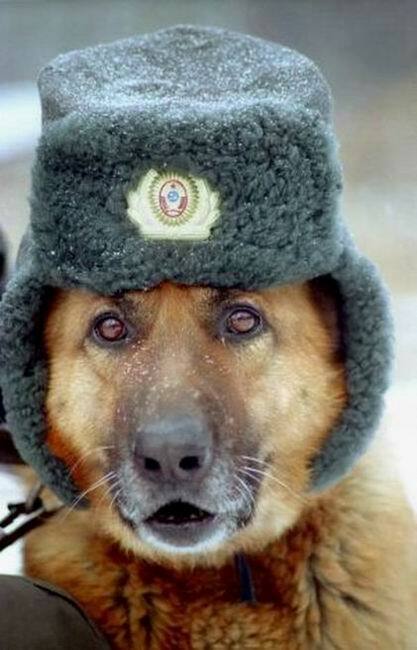 Who Moved My Borscht? : All things fur! No room for PETA in Moscow. This place is climbing with fur. The people watching is fantastic! What you most likely imagine Russians wearing walking along the busy streets is exactly what they are wearing. It’s a fashion show of fur...men, women and children. 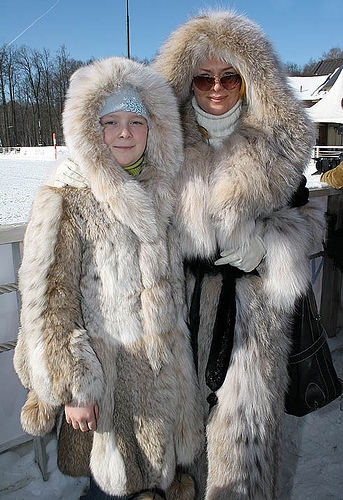 The full length fur coats are mostly worn by older women who absolutely have the matching fur hat. 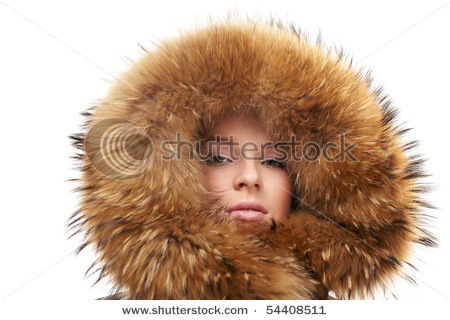 Many women wear the mid thigh fur - in every color combo you can imagine. 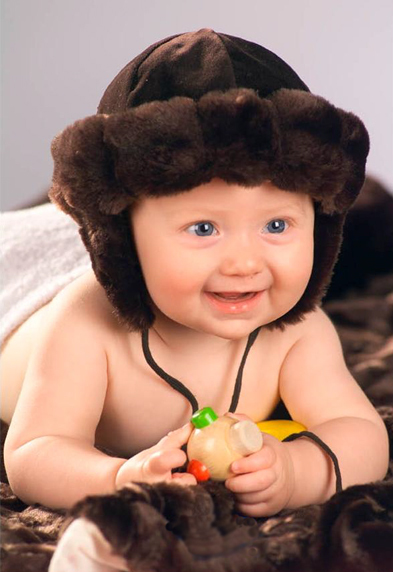 Then you have the huge wild fur bomber hats....worn by the category of people who feel the crazier it looks, the warmer you feel. Many of the older men are wearing the typical Russian fur hats....as are the police. Everyone is wearing fur lined boots and their fur-lined puffy coat hoods are in the “up” position at all times. We’re all running around completely bundled Eskimo-style, with just a little face showing... it’s actually quite charming...until you remember it’s negative 100 degrees outside. I'm voting for the raccoon tailed fur hat when I get there. Very classy, back to nature style. If someone needs to get my attention, a simple yank or two on the tail will work wonderfully. I would love to visit Russia as I love REAL FUR!!! 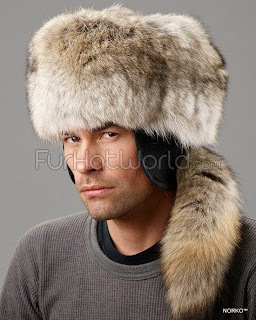 Hopefully you will join in and wear real fur as the Russian women do.